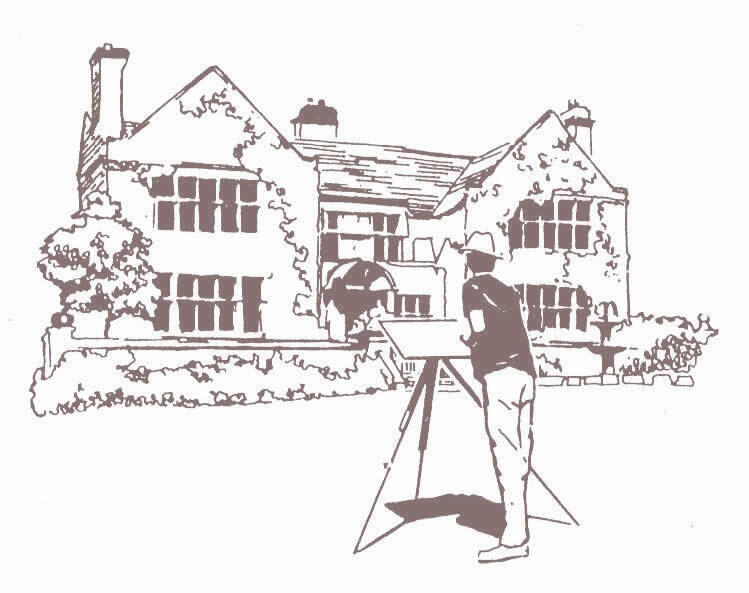 Tim Rose specialises in the portrayal of houses and gardens, ranging from country houses to cottages and is available for commissions of watercolour paintings. He works on location, whenever possible, in order to capture the character and atmosphere of his subject and uses quality materials in order to ensure the lasting quality of his work. His paintings hang in many houses nationwide as well as boardrooms of major companies, hotels, restaurants and stately homes. Prices range from £350-£600 for an average commision. To discuss a possible commission please contact Tim Rose on 0114 255 2171 or by email tim@timrose.co.uk and he will be happy to answer your questions and give further information. The dining room at Eyam Hall.